Before the Elbo Room shuts down we are doing one more big show for the Bay. All homegrown, farm to fork, GMO free Bay Area artists. 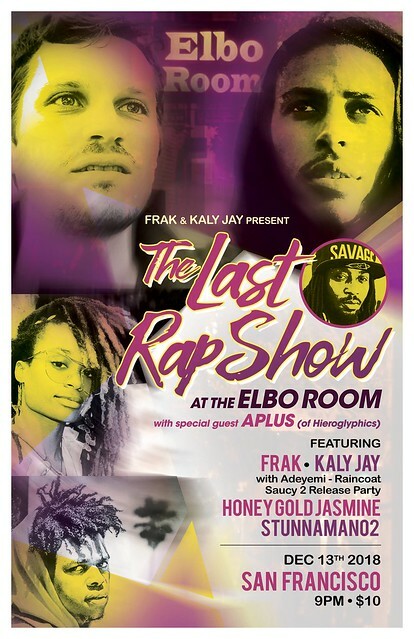 Also a release party for Kaly Jay & Adeyemi’s new project “Raincoat Saucy 2”. $10 at the door. Join us at the official Hieroglyphics Halloween party! Knuckle Neck Tribe will be in the building on the B-boy tip! 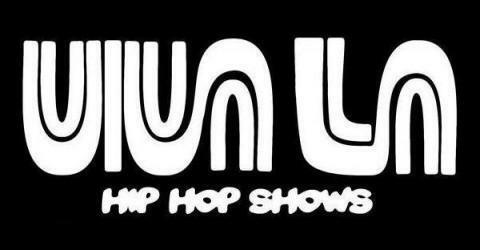 Luniz featuring Dru Down, Rap Noir, Full Effect, and DJ Lex. Hosted by A-Plus. Friday, November 9, 2018 at the Miners Foundry, Nevada City, CA. $25 | Tickets available online or at Briar Patch CoOp. *The Miners Foundry Box Office is not selling tickets for this show. The Grouch and Eligh, Casual, Pep-Love – The Grouch and Eligh from Living Legends will be performing alongside Pep Love and Casual from Hieroglyphics in Nevada City, CA! This is not a tour stop, this is a one night only exclusive event curated by True North Presents. A-plus and DJ Lex from Souls of Mischief will be hosting the event, with a very special performance by reggae/dance hall favorite Soulmedic to get the party started! Doors open at 8:00 p.m.
No Alcohol is permitted at this event.